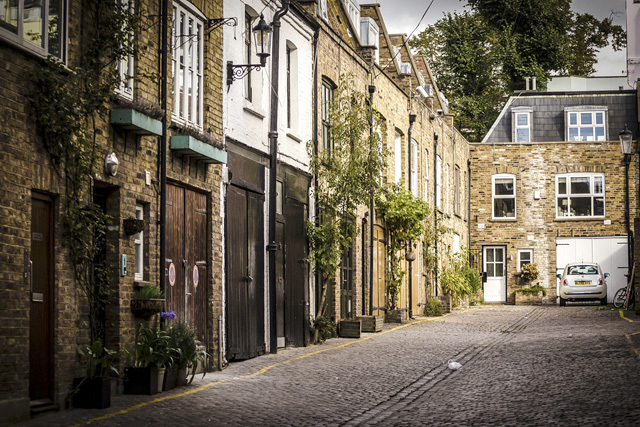 A district of west London, originally named after the fortnight-long spring fair that took place there each year. The land first began to be developed, as we know it today, during the early 18th century when it passed to the Grosvenor family through marriage. 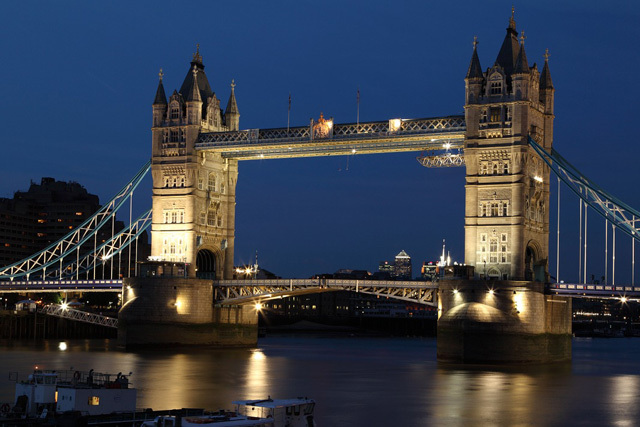 Although it has a reputation as a fashionable and expensive area, it is relatively diverse, with both social and private housing and a community drawn from all parts of the world. The UK showroom of the French car manufacturer DFP, and the roots of the company that was to become Bentley Motors. 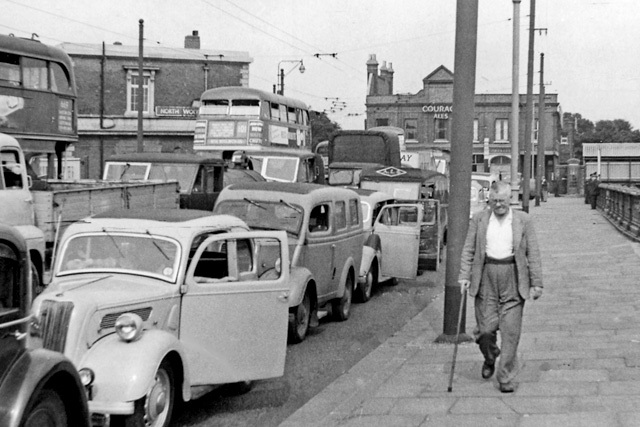 The first short-lived attempt to create a national motor museum. 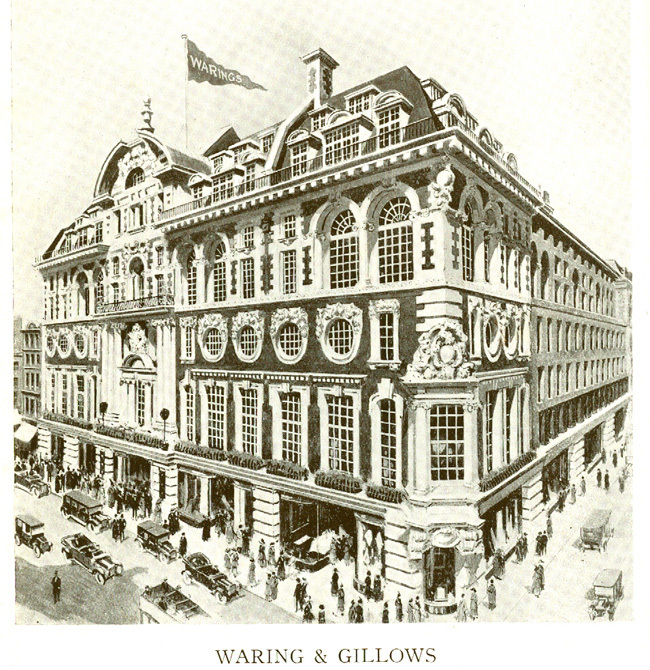 Waring & Gillow Ltd, 164-180 Oxford Street, London W1. 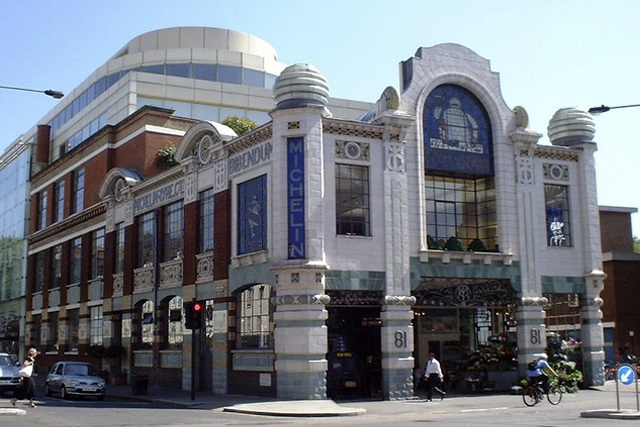 Some sources place the museum at 176 Oxford Street, and one report at number 175.